This Handbook contains everything you need to know about this epic Secret Compass expedition to Kyrgyzstan. Read on to discover our ethos and team-centred approach and for the nitty gritty information like flight and visa advice, insurance requirements and kit recommendations. Use the buttons below to ask questions or to apply for this team or, once approved, to secure your spot on this expedition team with a Booking Form and a £400 deposit. Arrive: at the team hotel by 11am on 25 August 2019 in Bishkek. Depart: leave Bishkek any time on 7 September 2019 onwards. Balance due: 90 days before departure on 25 May 2019. Enriched by the backdrop of remote, jagged wilderness and the passing encounters with local semi-nomadic Kyrgyz shepherds, this expedition presents an ideal opportunity to achieve the ultimate goal in alpine mountaineering. You need to be at the team hotel in Bishkek by 1100 on the 25th August 2019 and the expedition officially ends after breakfast on the 7th September 2019 although you are free to depart anytime as many flights depart early in the morning. Travel insurance which provides cover for emergency repatriation in case of a medical emergency is compulsory for all expeditions. You should be aware that many standard insurance policies may not cover you adequately for all aspects of a remote expedition and so we strongly recommend that you purchase a suitably designed insurance policy. Secret Compass cannot comment on the suitability of your cover so if you are in any doubt please contact your policy provider and ask them to confirm that you are covered to our minimum standard (below). Visas are your responsibility. British, US, Canadian, Australian, New Zealand and most EU nationals can visit Kyrgyzstan for up to 60 days without obtaining a visa. If you think you may spend more than 60 days in Kyrgyzstan, you should get a visa from a Kyrgyzstan Embassy before you travel or on arrival at the airport in Bishkek. From 1 September 2017, e-visas have been made be available for tourist and business visits of up to 90 days from the e-Visa website. These visas can’t be extended within Kyrgyzstan. They can only be used at Manas Airport, Bishkek, Osh international airport and at the Ak-Jol border crossing point into Kazakhstan. Please check with your nearest embassy or consulate on the latest advice. Your passport should be valid for a minimum period of 3 months from the date of entry into Kyrgyzstan and must have at least 1 full blank page if you are applying for a visa. Please send a clear, colour copy of your passport to Secret Compass ahead of the expedition and carry photocopies with you on the expedition in a safe place. All relevant tourist permits will be organised by Secret Compass. This process usually takes 5-6 weeks. You will receive a request for information from Secret Compass in late June/ early July 2019 at the latest. This will include a passport copy, work title and address and home address. Morning arrival in Bishkek, capital of Kyrgyzstan. Meet the expedition leader at the team hotel by 11am and leave Bishkek by midday. Transfer to Tamga village on southern shore of Lake Issykul where there will be a welcome meal and expedition briefing. After breakfast you will drive in 6WD soviet trucks, via Barksoon pass, to the basecamp location. Today will be a chance to recce the area, highlight potential peaks and routes and run through some all-important mountaineering skills to make sure everyone is ready for the summit days. Seven days of climbing, alpine trekking and mountaineering, leaving from basecamp and advanced basecamp with the aim to summit as many peaks as possible. Depending on weather conditions, route difficulty and group capability, the route each day will be chosen by the expedition leader . Time to pack up the basecamp and head back out to the guesthouse at Tamga village for dinner and relaxing traditional Kyrgyz banya. Today is a rest day after a week of hard climbing. It can be used to explore the village, swim in lake Issykul, head over to Karakol to explore the town or just relax at the guesthouse. Today you will say goodbye to the basecamp crew and switch from 6WD to mini buses to head back to Bishkek in good time. There will be an afternoon to explore Bishkek before a final celebratory meal. The expedition officially ends after breakfast although many flights depart early in the morning. You are free to depart anytime today or make arrangements to extend your stay. All our expeditions are achievable by people with an active and healthy lifestyle. However, this is an arduous expedition that will test you and at times you may be sore, tired, hungry and wet. 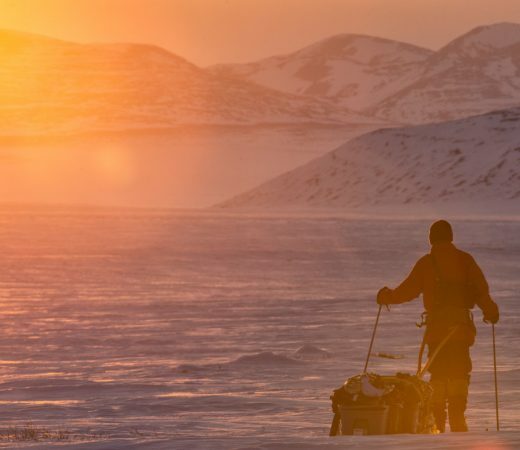 You must be prepared physically and mentally for the expedition and for living in basic conditions for the duration. Please ensure that you train for the expedition and arrive fit and ready to go. You will be required to be fit enough for the following. Daily activity: varies but trekking up to approx. 8 hours per day. Walk: up to 10km a day at altitude. Terrain: rocky and uneven trails below the snow line. Above the snow line expect snow, ice and often steep, exposed terrain which may be glaciated. Please seek advice from your health professional on recommended vaccinations. The NHS Fit For Travel site and Travel Health Pro are both useful. Banks and licensed moneychanger booths (marked obmen valyot) exchange US dollars and other major currencies. Local currency is called SOM (which translates in Russian to ‘Catfish’). Trying to get change for a 5000SOM note will likely be met with a look of horror even in cities, however, changing money back out of SOM is not problematic. ATMs are increasingly common in Bishkek and other major towns. Many dispense both US dollars and SOM and work with Visa, but for Mastercard and Maestro look primarily for Demir banks across the country. 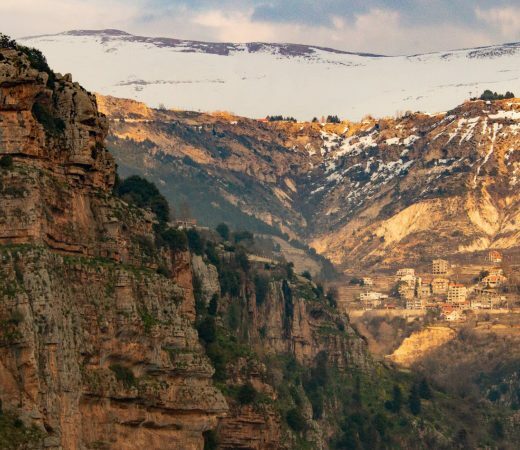 This expedition is all-inclusive so you won’t need much money, just enough for a beer in the town and some souvenirs on the way or for (discretionary but always appreciated) tips. Secret Compass always suggests carrying an emergency fund of $100-$200 in cash. The following is Secret Compass’ recommended kit list for the 2019 expedition to Kyrgyzstan. Although this is a basecamp style expedition, you may be required to carry all of your own kit along with a share of a technical mountain tent, group food and cooking equipment and the medical and communications pack in order to establish advanced base camps. Secret Compass will supply tents, stoves, crampons, ice axes and helmets. RUCKSACK (60-70 ltr): A comfortable rucksack that fits your back, a good outdoor shop will be able to help with fitting. All your personal gear needs to fit easily into this pack and have enough room for a tent, food and share of group equipment provided by us. Attachment points for ice axes would be a bonus. A pack with an adjustable support system or equivalent recommended. This will be used for transporting kit from basecamp to the ABC. DAYSACK (30-40 ltr): To use once basecamp/advanced basecamp is established, should fit inside or clip onto the outside of your main bag. Still needs to be big enough to fit warm layers, crampons, snacks etc. FULL LENGTH SLEEPING MAT: Inflatable winter roll mat required as pitching tents on snow. Bring a repair kit! WATERPROOF TROUSERS: 1 x gore-tex or equivalent. Consider a bib-style. THERMAL BASE LAYER: 2 x top and bottom. Merino wool or synthetic mix is great. Do NOT bring cotton. MID LAYER: 2 x micro fleece or equivalent. Prostretch is good for layering. Can be used as pyjamas. THERMAL LAYER (optional): 1 x THICKER fleece or equivalent. Prostretch is good for layering. Can be used as pyjamas. DOWN JACKET: 1 x expedition down jacket or synthetic equivalent. HIKING SOCKS: 4 x well fitting with your boots and comfortable. CRAMPON COMPATIBLE MOUNTAIN BOOTS: Ensure your boots are worn in and comfortable. 3 season walking boots (Rated B1 or B2) with stiff sole capable of taking C1 “flexi” crampons (sturdy and worn-in). Recommend you visit your local outdoor store for advice on fitting. GAITERS: To prevent snow getting into boots and to keep feet dry. WARM HAT: Must provide ear protection. GLOVES: 2 x waterproof cold weather gloves with wind protection. You need a thinner pair and a thicker, weather proof pair. We would also suggest a pair of liner gloves such as running gloves to wear underneath your thick waterproof gloves. CAMP TRAINERS/SHOES: To wear in an evening instead of your mountaineering boots. HARNESS (optional): Comfortable and well-fitting for any technical mountaineering sections. Secret Compass can provide a harness if needed, please let us know. CRAMPONS (optional): Secret Compass can provide C1 crampons however you are welcome to bring your own. Please let us know. Note: if your feet are smaller than UK 4 you will need to provide your own crampons. ICE AXE (optional): Secret Compass can provide an ice axe although you are welcome to bring your own. Please let us know what you would prefer. HELMET (optional): As above, this can be provided but you are welcome to bring your own. ROBUST WATER BOTTLES: 2/3 x Nalgene or Sigg are recommended. You need to be able to carry a minimum of 3 litres of water. 0.5l THERMOS FLASK (optional): Great warmth and morale boost on the mountain. SANITARY PRODUCTS (optional): Bring nappy bags to remove used items from the mountainside. AFTER SUN / MOISTURISER (optional): Try and avoid water-based moisturiser. DIORALYTE SACHETS OR SIMILAR REHYDRATION PACKS: Nuun or Zero tablets work well as a preventative measure. ANY MEDICATION YOU NORMALLY USE: It may be useful to find out the generic/chemical name for the medication in case you need to source more in-country. Please also check whether your particular medication is legal in your destination. WALKING POLES (optional): Collapsible trekking poles with snow baskets are great if you have sore knees or ankles or for extra security on steep ground. GOGGLES: Ski goggles for whiteout conditions. PENKNIFE: Remember not to pack in hand luggage! PHOTOCOPIES OF YOUR PASSPORT: Don’t keep this in the same places as your original passport. Secret Compass organises expeditions, not sightseeing tours. Our expeditions are team-centred, flexible and dynamic. Teams are managed on the ground by Secret Compass staff: industry-leading professionals and guides of the highest calibre. They put the structure in place for your team to have an incredible experience while achieving your expedition’s aims. Our people are as passionate as you are about achieving the extraordinary in the world’s wildest places. Secret Compass teams often go to places that others don’t. This makes our expeditions truly different, taking you beneath the skin and beyond the headlines. You’ll be set ambitious goals and will overcome similar hardships to those experienced on the audacious journeys of the past. The areas we travel to often especially remote. Transport infrastructure can be ageing, inadequate or non-existent. Flooded roads, collapsed bridges, fallen trees and vehicle break-downs are all par for the course. Our teams thrive on overcoming challenges like these – be prepared to get stuck in and push occasionally! 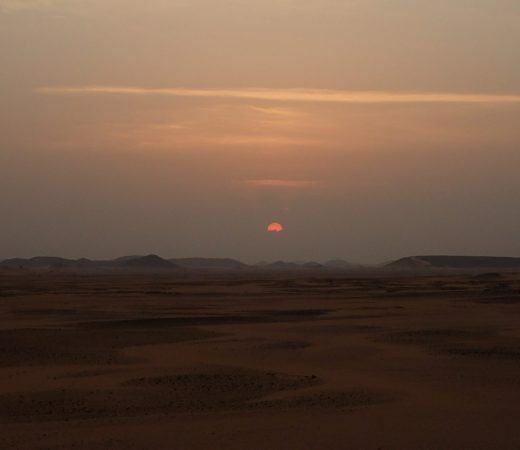 Natural phenomena like desert sand storms, early monsoons, landslides across key routes, winter coming early, gale force winds and driving snow can all make for a more adventurous set of challenges on the expedition. Key risks encountered on this specific expedition include RTA’s, altitude mountain sickness and cold injury. If you would like to see the full Risk Assessment for this expedition, please email info@secretcompass.com. Kyrgyzstan is predominantly made up of ethnic Kyrgyz. The largest minority groups are Russian (in the north) and Uzbek (in the south). You can also find Ugyhur, Dungan, Tadjik, Kazak, Korean and Chinese. There are more sheep than Kyrgyz people. Kyrgyzstan is officially Islamic, however it is the most relaxed of the Central Asian Islamic nations. Kyrgyzstan was the last country in the region to be converted to Islam due to its inaccessible mountain terrain and nomadic culture. Kyrgyz also have strong ties with nature as a result of Shamanistic beliefs which pre-date Islam. Dress in Kyrgyzstan is very relaxed. Bishkek is cosmopolitan and you can see mini-skirts and high heels on the same corner as religious head scarfs – or even on the same person! Villages are a little more traditional and thus conservative, mostly trousers (dresses for women) and long sleeves or t-shirts, but shorts are also fine. Lycra is not generally appreciated! The traditional greeting, like the majority of the Islamic world, is As-Salāmu `Alaykum, replied with Wa `alayk s-salām. Shake hands and in some cases bring your hand back over your heart. Predominant languages are Kyrgyz and Russian. Kyrgyz is a Turkic based language. Most Kyrgyz speak Kyrgyz and Russian, but Russians only speak Kyrgyz. Basic English is spoken in towns and occasionally in villages. Kyrgyzstan used to be part of the Soviet Union. When the USSR collapsed, in the early nineties there was a power vacuum, and cultural identities and social relationships were challenged. The older generations who grew up in the USSR have shared experiences and similar mentality, though the younger generations have less in common. For the most part Kyrgyz and Russians mutually tolerate each other. The south of Kyrgyzstan is poorer and has a large Uzbek population, the north is richer with more Russian influence, so there is generally some tension. The government is corrupt and in general not trusted, nor respected. Same goes for Police. Generally there are many different cultures living together in Central Asia, and tolerance is good but in recent years there has been a rise in Kyrgyz nationalism. A large provoker of this is the majority Canadian owned KUMTOR mine. In Bishkek there is a wealthier upper class – mostly politicians and businessmen, there is also a visibly growing middle class, though the rest of the country is rural and poor. National identity is firmly centred around a mythical figure called ‘MANAS.’ All folklore heroics are attributed to this one, ‘Ghengis Khan’ type character who united the 40 warring tribes to create the current nation. The Manas histories are said to have unfolded in Talas. Always take shoes off inside someone’s home – house or yurt. Shake hands with other men when you meet. Women don’t shake hands. It’s polite to greet nomads when passing in the mountains, especially if camping nearby. Often required to sit and drink tea or fermented mares milk. In towns avoid police and drunks. Don’t give random gifts to poor locals – it creates misconceptions and encourages begging. If you’re not sure about something hang back and watch others first, or ask. This expedition will cover a variety of terrain from rocky and uneven trails below the snow line. Above the snow line expect snow, ice and often steep, exposed terrain which may be glaciated. The team won’t be covering vast distances each day but the expedition will be made more challenging by the altitude. The weather will be in the high teens/early twenties during the day, even at altitude, but on occasion can reach 30 degrees. It will drop down quickly at night and will be below freezing on occasions. The wind will likely pick up in the afternoon and be pretty strong during the evening. Rain is rare but above 3000m there can be snow squalls at any time of year. Manas international airport is located outside of the city – team members are responsible for their own transfers between the airport and the accommodation at the start and end of the expedition. Transfers are available by bus or taxi depending on your arrival time. Depending on the final team size, 6WD vehicles or minibuses will be used to transport the team between Bishkek and Tamga village. From Tamga village 6WD will be used to arrive at base camp, where the rest of the expedition will be on foot. The team will stay in comfortable guesthouses and hotels in Tamga village and Bishkek. Rooms will be on a twin-share basis and the hotel where you will meet your expedition leader will be able to store any luggage which isn’t required for the expedition, any extra nights outside of the Secret Compass itinerary can be booked directly with the hotel. Whilst on the mountain, the team will be camping in technical mountain tents provided by Secret Compass. For advance base camp, technical tents will likely be shared between two as these may have to be carried by the team members in addition to their personal equipment. All our food will be sourced in country. In Bishkek and other urban areas it is often bread and kebab, or noodle/rice based dishes, with simple meat and vegetables. Lamb is the mainstay of Kyrgyz cuisine. Fruit and vegetables in summer are abundant and good quality. Dried fruit and nuts, and different melons are common. We will have a cook attached for the mountain section who will make up our meals. They will be basic but filling and provide all the energy you need. Dietary requirements can usually be catered for but should be discussed with Secret Compass in advance. 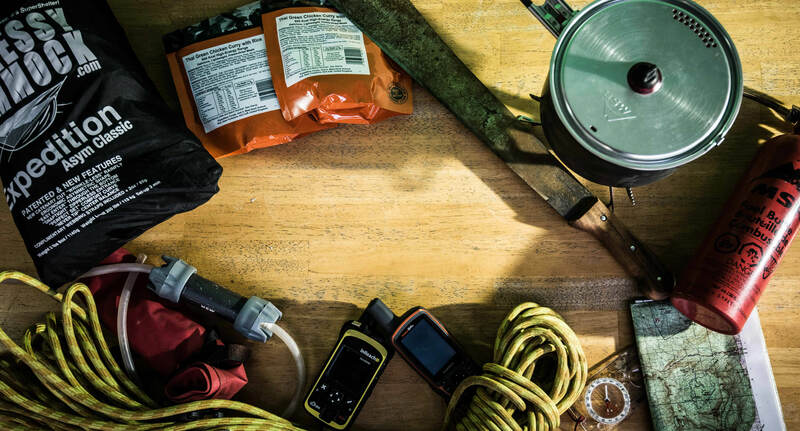 It is recommended that you bring a favourite snack or cereal bar for each expedition day as a morale boost. Secret Compass will have up to two Secret Compass leaders depending on the team size, who will guide the expedition with the assistance of a local IMFGA trained guide. The leaders will have experience of leading groups in remote and mountainous locations. Your mobile roaming will work in Bishkek and perhaps Tamga village, you are unlikely to get signal whilst in the mountains. Phone signal will be limited once the team leave Tamga for the mountains.Ops: answer here.